Cornelius is a suburban town located along Lake Norman in Mecklenburg County with a population of 29,191 and 12.08 square miles according to the 2017 census. Charlotte Douglas Airport is about 25 minutes south of the town. Cornelius is off of I-77 at Exit 28. Nearby cities and towns are Huntersville, Davidson, and Mooresville. The city of Cornelius has a great page filled with information you will find helpful in learning more about the city and all it has to offer! 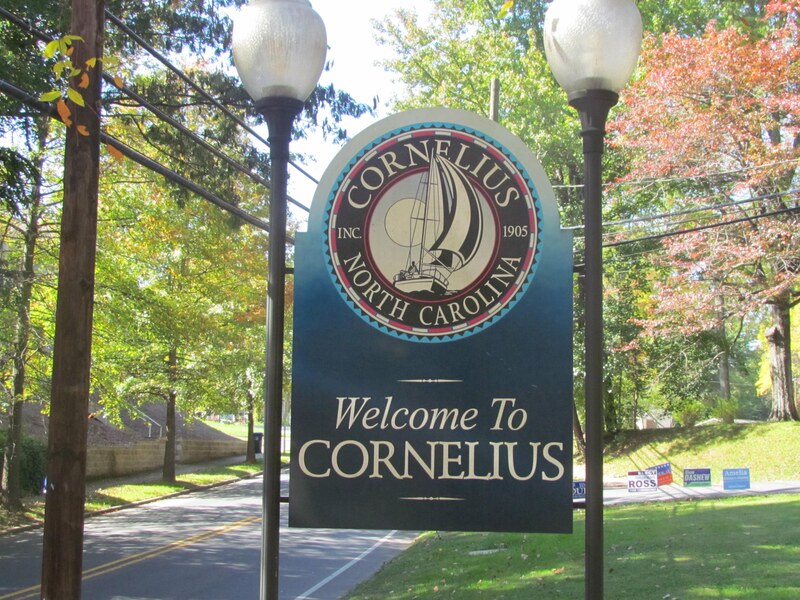 Cornelius is situated along Lake Norman which is the largest man-made lake in the Carolinas! Residents of Cornelius have easy access to Lake Norman and fun water activities such as boating, fishing, tubing and swimming! Enjoy mini golf with the family at LKN Miniature Golf or Michael Waltrip’s Raceworld USA filled with NASCAR memorabilia. You will find upscale shopping centers along West Catawba Avenue off I-77 at Exit 28 such as Jetton Village, Shops on the Green & Kenton Place to name a few. Cornelius offers a variety of great restaurants from the big chains to local restaurants & breweries. Whatever you are craving, you will find it here! Below are just a few you can try! The Town of Cornelius offers several parks, fields and greenways for sports, play, walking, biking and picnics. The leading industries in Cornelius are Management and administrative occupations, healthcare, waste management, finance and real estate occupations. The City of Cornelius’s Students attend the Charlotte-Mecklenburg school system. Children residing in Cornelius attend Cornelius Elementary, J.V. Washam Elementary, Bailey Middle School and William Amos Hough High School. Private schools include Grace Covenant Academy, Phoenix Montessouri Academy and others. Check out the links below for a listing of schools and their ratings. The nearest hospitals are located in nearby Mooresville and Huntersville. The Town of Cornelius’s tax rate is .255 cents per $100 assessed valuation in addition to Mecklenburg County’s tax rate of .8232 cents per $100 of assessed property value.